The stern (popa) of a jangada de piúba. 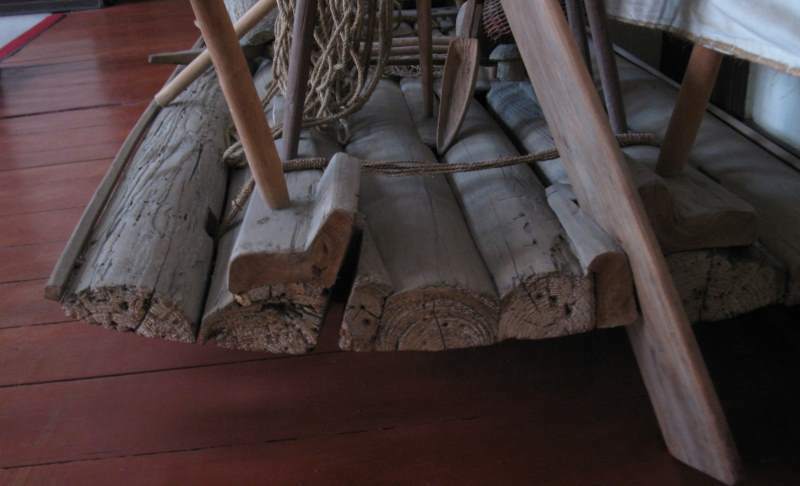 The steering oar (remo do governo) is in the starboard transom slot, where it would be placed on a port tack. Photo taken at the Museu do Ceará.